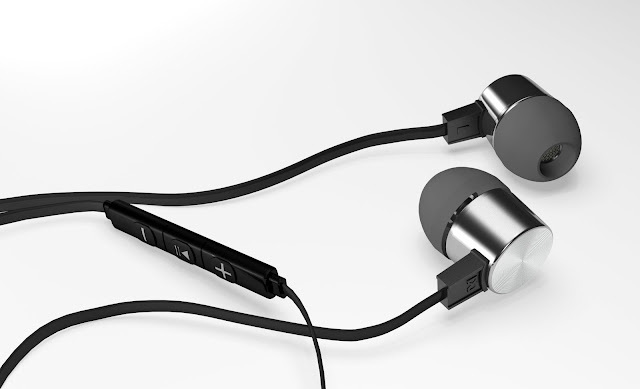 Earlier this month, Evidson announced their newest pair of Budget friendly earphones, the Evidson Audiowear R5. These pair of earphones are targeted towards the affordable section and towards the users who are looking for having a decent experience under Sub Rs.1000 price range. I was lucky enough to try these earphones, While after using it for the past week I've come up with some conclusions with whether you should buy it or not. 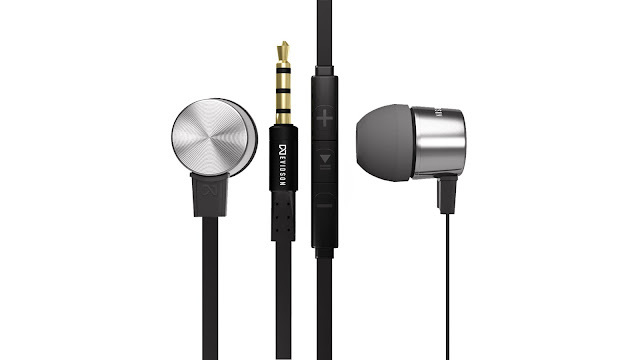 I compared it with many other earphones in this price range and with most cases, R5 had the upper hand. It provides an excellent bass experience and comes with an in-line mic with play pause buttons. To my eyes, It's design feels similar to that of OnePlus Bullets V2 earphones. 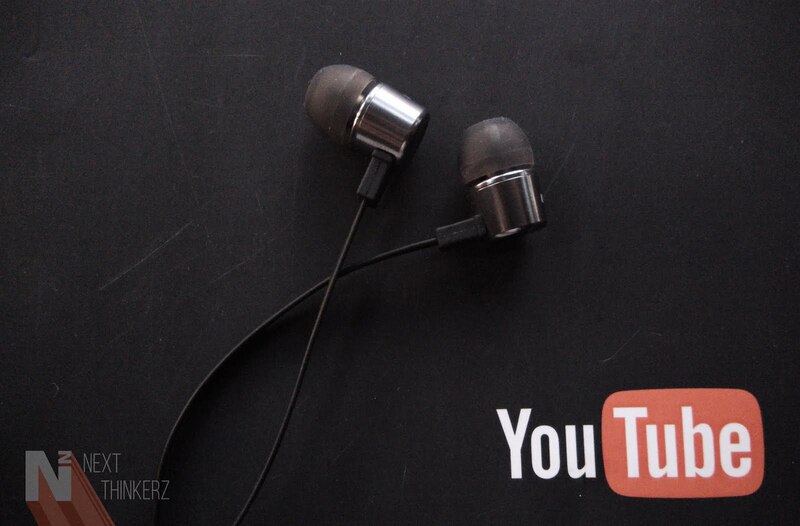 So let's find out more about these earphones in my Evidson Audiowear R5 Review. Speaking about the main unit, it's a metal alloy build with soft edges, and it feels pretty lightweight. Everything from the imprinted Evidson logo, left and right marks seem pretty accurate regarding physical design appeal. At first, I felt that these primary units must be made out of plastic considering it's price, but I was wrong. Such kind of design would make it long lasting and durable in rough & tough situations. While if scroll down from the main unit, the cables are flat & made of a matte rubberized material which provides an excellent grip. So far the only thing I've observed here is the weak joint which connects the cable and the main earphone unit. But in my testing period I've not encountered any issues with it so far, So that's a pass in my judgment. Rounding it off the in-line mic is also present here Since most of the brands avoid this in such a price segment. Though that mic quality is pretty average and, it'll handle your basic call conversations. That in-line mic remote also houses play/pause and volume buttons which provide good feedback. If you speak about the silicone ear tips, S, M & L sizes are offered to fit for every ear and talking about fitting, It snugs inside correctly at least that's what happened in my case. Whereas they're comfortable too, so that adds as a definite point in its alley. In the end, it's finally right on my end to recommend anyone a good looking pair of Earphones in this price segment. But does that follow up in its audio performance? Apart from its Design, the Evidson Audiowear R5 does a commendable job while staying in the sub Rs.1000 price segment. So the Audio output was crisp and on the warm side with accurate mids, and a decent amount of high & low shallow tunes. Though the Evidson Audiowear R5 has a decent amount of bass which is suitable enough to please an average user's mind. I played several tracks via these earphones on my devices including a varying flick of different genres. Whereas depending upon that usage, I feel that these earphones do a better job in vocals than the electronic music. So popular tracks will play fine, and after looking at the audience base in India, It won't be any issue for the users here. Whereas I observed a different kind of listening experience on the R5 Earphones, The left unit gave high vocals and flat audio tracks & the right unit did the exact opposite. I don't know whether this is the case with every R5 Earphone; However, this won't create a problem on your hearing end as the output from both the units gets mixed when you listen to any particular track. So along with the Evidson Audiowear R5 Earphones you get 2 different sets of silicone ear tips & that's it. Well considering the price and all the added benefits that come along with its price, It's perfectly fine, and many wouldn't complain at all. However, it comes with one year of warranty, and these earphones are a Made in India product. It has a rated impedance of 15.8 ohms with 106dB sensitivity at 1mW. Frequency response lies between 30 Hz to 20 kHz. The R5 has a flat style cable, and it is 1.2 meters long. Whereas as a bonus it has a 3.5mm Gold plated audio jack having no weird 45° angles(It has a straight connector). If you're interested to find earphones under Rs.1000, Then the R5 could be a right choice. Excellent vocals, Decent Bass and Music output along with the presence of in-line mic remote everything is just right on, Perfect. These are available online at a price of Rs.899 INR only. Considering this price range, Sennheiser CX-180 is one of the top choices by the users across Internet, But with the added in-line mic, Audiowear R5 has an edge here. But can you consider it against Cx-180? Well, it is a winner in every other department other than the Audio segment, Since here it's almost similar. So what do you guys think about the Audiowear R5? Would you buy it & If Yes, Why? Let me know in the comments below.